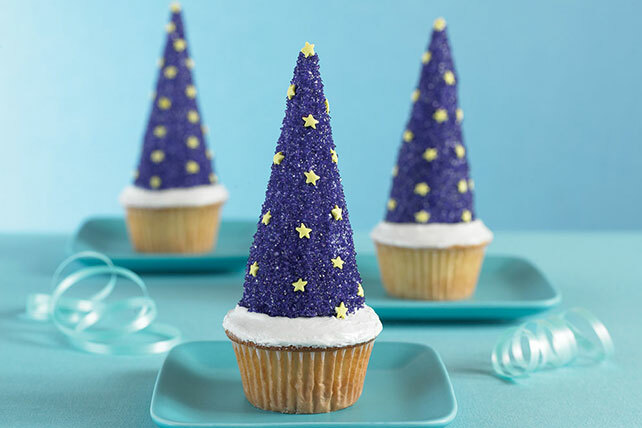 No fancy equipment required to make these kid-friendly Wacky Wizard Cups. Just a muffin pan and some sugar cones! Prepare as directed, using confetti cake mix.